In April this year users of Yahoo! 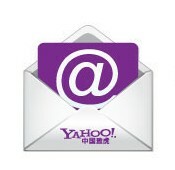 Mail for China (@yahoo.com.cn & @yahoo.cn ) were notified that the service would be closed on August 19th (today). All the accounts and data will be deleted altogether. Yahoo!China suggested users register with Alimail, an e-mail service by Aliyun of Alibaba Group. E-mails sent to Yahoo! China accounts can be forwarded to an Alimail box till December 31, 2014. Users are also allowed to transfer e-mail accounts to yahoo.com or any other e-mail service. It is estimated there are no more than a million users with Yahoo! Mail for China and chances are they also own other e-mail accounts.